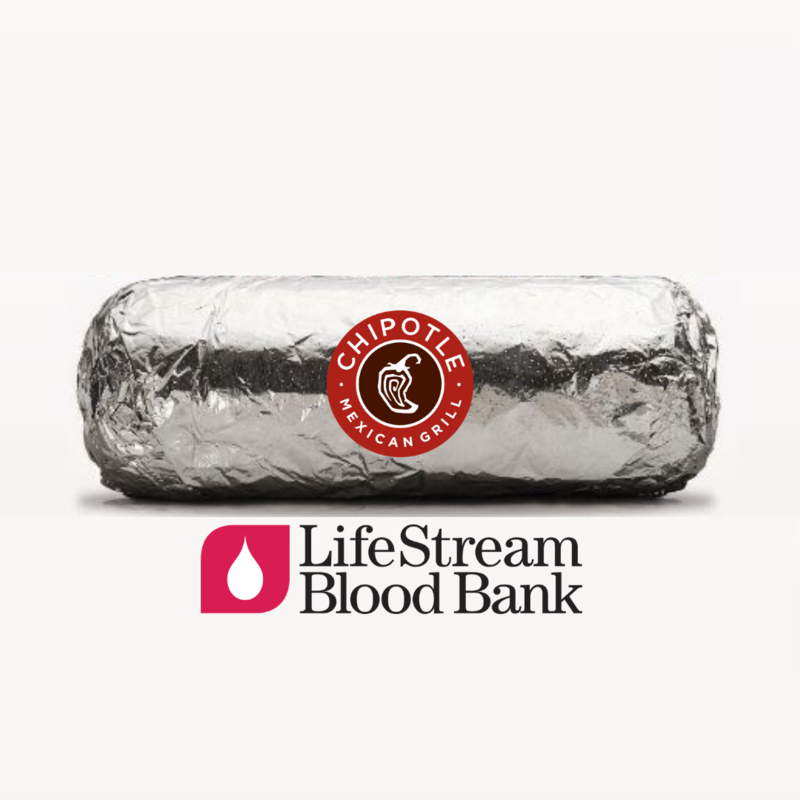 Join LifeStream Blood Bank in a good cause and come in to Chipotle at 79174 CA-111 STE 101, La Quinta, CA 92253 on Tuesday, April 30 between 4-8PM! 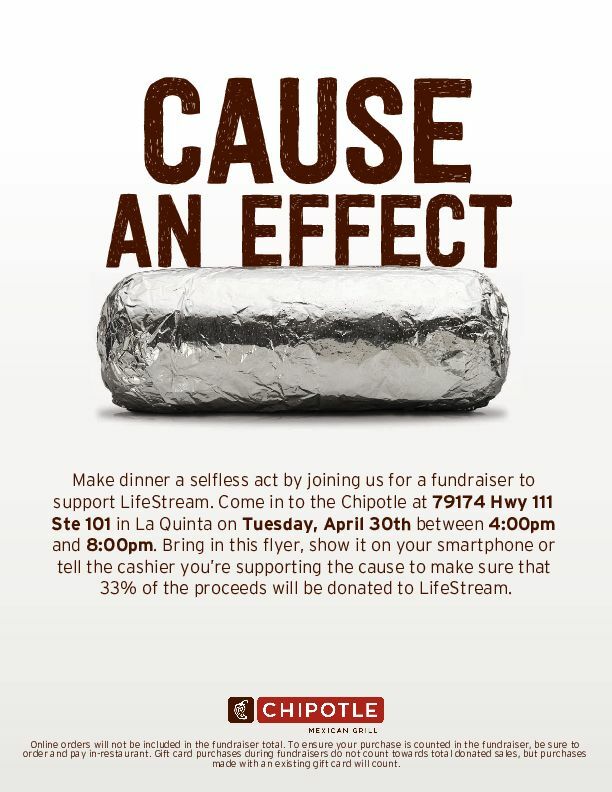 Show the flyer below on your phone, print out this page, or simply let the cashier know you’re supporting LifeStream so that 33% of the proceeds will be donated to LifeStream. Plus, take a creative photo at the location during the fundraiser and tag LifeStream to be entered for a chance to win a Chipotle gift card!